Our company does not elect to participate in the “certifications” marketing strategy. To be blunt…there are no real universal certifications pertaining to data recovery…at all. This is a trend that a few data recovery companies have started to use in recent years in an effort to differentiate themselves and somehow hold themselves above their competitors. The certifications that are held, have nothing to do with the ability to successfully recover data from failed media of any kind. 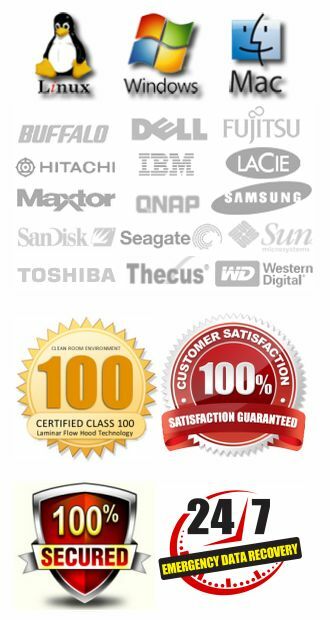 There are actually some data recovery labs that claim to be SAS70 certified, but in reality, their actual business is not certified in that manner, they just happen sublet within a facility that already has that certification. Do SOC Certifications Matter For Data Recovery? If you’d like to read more about SOC certifications, you can click this link. You’ll see that nothing within the description pertains to anything related to the capabilities or processes used when it comes to recovering data. It’s mostly an accounting procedure with relation to financial data and privacy policies of a company. SAS70 is the old standard that some companies still display on their site. It also has absolutely nothing to do with data recovery, nor does it prove the security of your data when it has been recovered. Many of our competitors list a number of certifications, and most of them are related to data security, but they have nothing to do with capabilities when it comes to retrieving data from failed storage devices. ACS Data Recovery implements extensive security measures, and we even go the extra step and keep our recovery servers off of our network. That means when it comes to network security and your data, a network intrusion and interception of your data within our lab is not possible. We don’t keep any of our recovery servers on our network, or any network for that matter. When you are dealing with so much sensitive data, the convenience of a networked connection to that data doesn’t outweigh the inherent risk associated with keeping it on a network. So we choose to just keep each imaging station and recovery server completely independent. Like many certified data recovery companies, our lab is kept locked 24/7 and only authorized personnel are permitted past the reception area. 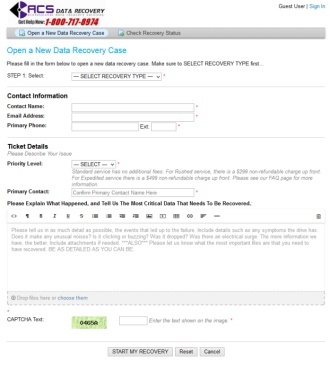 During your recovery, only the technician has access to your data…no one else. We keep our facility locked and secured at all times. Certifications have proven to be nothing but a complete waste of resources. Instead, we choose to focus those resources on research and development and creating better and more efficient ways to get data recovered more effectively.